KTM has become the latest manufacturer to launch its bike for the 2019 MotoGP season, along with its new satellite team Tech 3. The presentation for both squads took place at KTM's headquarters in Mattighofen, Austria on Tuesday. 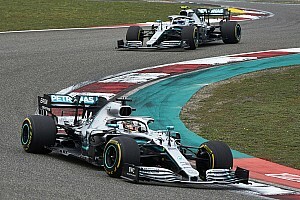 Tech 3, which has gained Red Bull as a sponsor as part of the new tie-up, has switched from a largely black livery to a blue, silver and orange design not dissimilar to that used by Toro Rosso in Formula 1. 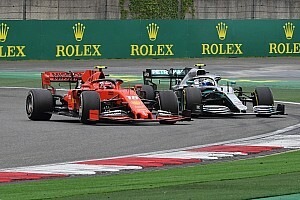 The main factory team's matte blue-and-orange design from 2018 remains largely unchanged. KTM will begin its third full MotoGP season in next month's Qatar season opener, and has signed former Tech 3 rider Johann Zarco, to replace Bradley Smith in its works line-up for the new campaign. Along with his teammate Pol Espargaro, Zarco had a quiet showing in last week's Sepang pre-season test, with the duo only taking 17th and 18th places on the final day of running. Zarco's 2018 teammate Hafizh Syahrin remains on board for Tech3's transition from Yamaha machinery to KTM, joined by last year's Moto2 runner-up Miguel Oliveira. Oliveira had a more positive test of the pair in Sepang, the Portuguese rider beating Syahrin by eight tenths and ending up just 0.309s behind Zarco's KTM benchmark. 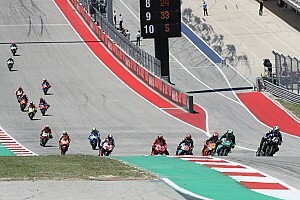 KTM endured a difficult sophomore MotoGP campaign last year amid delays to its revised engine, not helped by injuries ruling both Pol Espargaro and test rider Mika Kallio out of races. 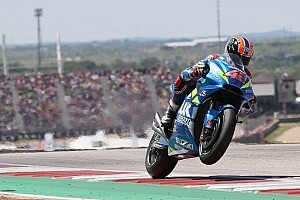 However, Espargaro scored a historic maiden podium for KTM in a chaotic rain-affected Valencia finale, ensuring the team outscored rival manufacturer Aprilia for a second year in a row. 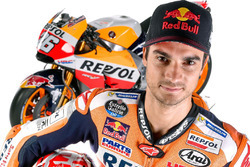 Dani Pedrosa has also joined the KTM fold as a tester alongside Kallio, but is currently out of action due to recent surgery and is not expected to be available for riding duties for three months. 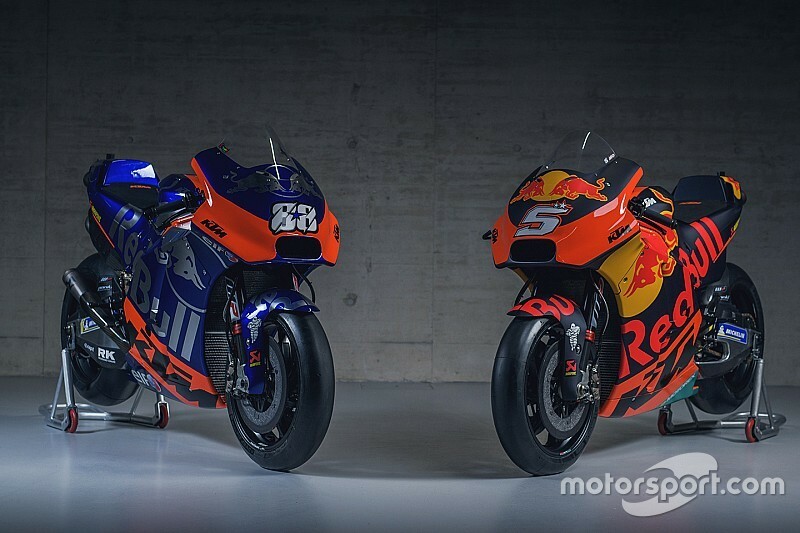 Also unveiled on Tuesday were KTM's liveries for its Moto2 and Moto3 squads. Tech 3, which joins Ajo in fielding factory supported-bikes, has adopted the same colour scheme for its intermediate class machines that Marco Bezzecchi and Philipp Oettl will ride this year as its MotoGP bikes.